Product prices and availability are accurate as of 2019-04-23 23:23:46 UTC and are subject to change. Any price and availability information displayed on http://www.amazon.com/ at the time of purchase will apply to the purchase of this product. Lady Flora believes she has met her perfect match in Pearce Longleigh, the half-Shawnee son and heir of a duke. Her hopes are squelched when Pearce offers to guide her father into the hostile Ohio Territory. Undaunted, she invites herself along, unknowing that Pearce has no intention of returning to England. Her love wars with his freedom. “I love the picture the author paints of the town and the way of life, and the characters are strong and interesting. 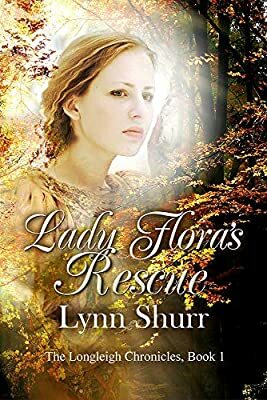 Lynn Shurr grew up in Pennsylvania Dutch country but left to wander the world shortly after getting a degree in English literature. After living in several states and Europe, she picked up a degree in librarianship. Her first reference job brought her to the Cajun Country of Louisiana. Eventually, she became director of a library system. For her, the old saying, “Once you’ve tasted bayou water, you will always remain here,” came true. She raised three children near the banks of the Bayou Teche and lives there still with her astronomer husband where she writes, paints, and studies history.